Good News India is grateful for memorial gifts in memory of a family member or loved one. As we seek to expand and bring help and healing to more neglected children and those afflicted with leprosy, we have many projects, large and small, that would be appropriate for any size gift. Smaller gifts could be used to install deep tube wells, or for ongoing expenses with maintenance and replacement needs in kitchens, bathrooms, septic tanks, and roofs. Larger memorial gifts ($10,000-$100,000) can be used to purchase uniforms, casual clothes, school supplies, or to buy property and put up new buildings to house these precious children until Jesus comes. Click a name to make a donation. 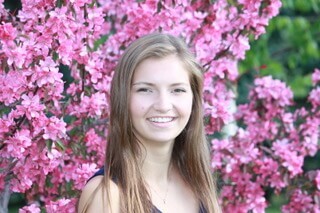 Fun loving and beautiful, 21-year-old Charlene Kroeker went to be with her Savior on February 2, 2018, following an automobile accident in Edmonton, Alberta, Canada. 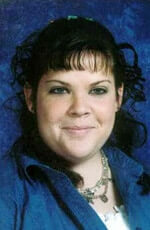 Charlene’s faith was the source of her passion to help others. That is why she was studying to be a Registered Nurse. She relished the opportunity of helping others when they were at their lowest or in need. A memorial playground is being installed in her name at the Nabrangpur Good News India Dream Centre in the State of Odisha. It will provide years of enjoyment for 120+ children who have been rescued from a life of bonded servitude in eastern India. Canada Donors - Visit goodnewsindia.ca to make a donation. On March 28, 2015. Joyce Mackey went home to be with the Lord. She is now free of pain and suffering and is dancing on those streets of gold! We are celebrating her life! Joyce was the wife of Samuel for 72 years; mother of Susanne (Ted) Smith, Robert (Kathy) Mackey and Nancy (James “Randy”) Finn; also survived by 9 grandchildren, 15 great-grandchildren and 8 great-great grandchildren. 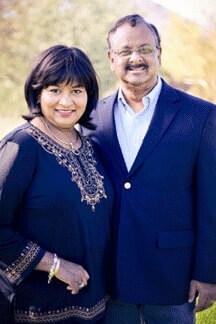 A Good News India Dream Center was completed in 2007 in memory of Christopher Small, son of Larry and Mariette Small of St. Petersburg, Florida. In June 2007, a wonderful ceremony was held in Balasore, dedicating it to the work of God while 85 children and many community members and guests looked on. 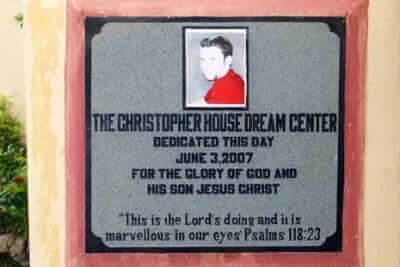 The Christopher House houses 150 children! 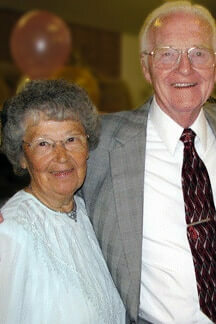 After a hard-fought battle with cancer, Rowena David went to be with her Lord and Savior, Jesus Christ, March 5, 2013. She was ushered into the presence of God surrounded by her family and loved ones singing songs of praise and scriptures. While we are saddened by this loss, we rejoice because we know she is seeing her King face to face. Those who will miss her most are her loving husband Noel, daughter Shireen, son Andrew, his wife Michelle and their daughter Isabella. 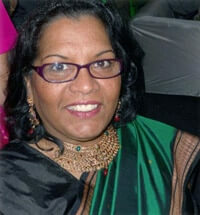 Dr. Rahman’s wife Joy was Noel’s beloved sister and their families have been especially close over the years. Our precious son Wyatt went to be with Jesus after only three short months with us. 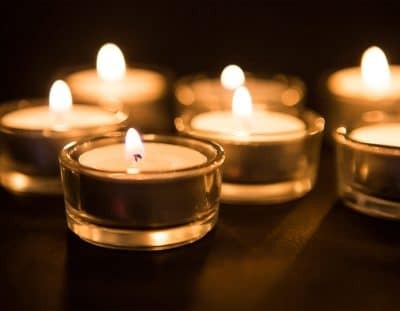 Thousands will miss her greatly but none so much as Faiz, her husband of 35 years, daughter Cortessa and son Timothy, their son-in-law Barry and daughter-in-law Kristin, respectively, and their four little grandsons, Jaden, Liam, Hudson and Ronan. Joy was also dearly loved by her brother Noel David, his wife Rowena and many extended family members, countless friends, a loving church at Phoenix First, hundreds of music students and co-workers at St. Theresa’s School. More than 2000 children in India looked forward to her every visit and will always remember her. Jan Short, affectionately known to me as MOM has been a mom to me since 1973. That is 39 years. She was one of the most gracious and kind women I have ever met. My ministry began under her and Dad Short in Estacada, Oregon in 1973. I have never heard her criticize or say harsh words to anyone. Her gentle demeanor has been a sterling example to me of a Godly woman. She created a home that had tons of love, laughter and inspiration. I celebrate her life, her witness and now her home going…. She died as she lived… with great dignity and peace. Her memorial gifts will be used to bring help, healing and hope to many orphaned/destitute children and lepers under our care in India. 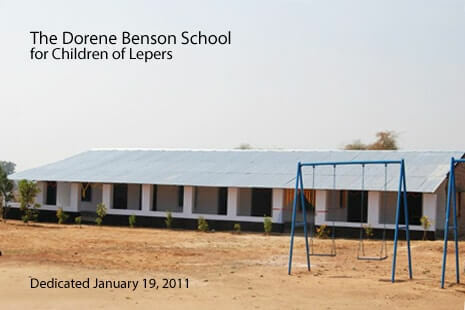 A School for the Children of Lepers in the Ashroi Kendra Dream Center was dedicated in January 2011 in honor of Good News India’s eldest Sponsor, Dorene Benson. It was built in her 99th year and she was thrilled to know these children were to be blessed with a good Christian education. She had taught in one-room school houses in Montana before she married (1931-34) and later in a Christian School after her children were grown. Dorene accepted Christ in 1946 while listening to Evangelist Charles E. Fuller on a battery operated radio in her kitchen on a ranch in western Montana. And for the rest of her life, she was a great supporter of Missions around the world. 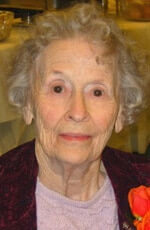 Dorene woke up in Heaven on April 2, 2011, just five months short of her 100th birthday. Her prayers for and support of Good News India in her last years were a highlight of her days. 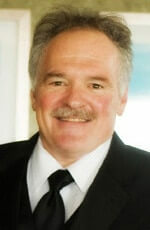 George was born and raised on Long Island, NY but lived his later years with his wife Denise and three daughters Stephanie, Sharon and Abigail in Tierra Verde, located on the Gulf coast of Florida. 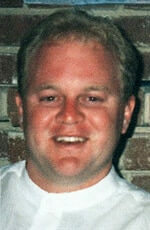 George loved living by the ocean and was passionate in his love for God, his family and fellow man. His warm outgoing personality, infectious laugh and love for others were magnetic. In his memory, the Ganjam Dream Center, located on the Bay of Bengal, was built to carry on his passion to touch the lost for Jesus and draw them into His saving grace. George’s legacy, which was overwhelmingly testified to by all who know him, was that he was an awesome man with an awesome love for his awesome God, which he boldly and openly proclaimed. Today and for all eternity he is and forever will be honored by God the Father for his service during his time on this earth. A memorial fund in memory of Halley Marie Fagin went to help purchase playground equipment and complete the second floor construction of the Christopher House. The Christopher House is located in Balasore where 85 children are currently living and being cared for. A further 65 children will be accepted for a total capacity of 150. Johnnie Dwayne Walker was born in Detroit, Michigan in 1971 to Carol Walker-Packer. He was known throughout his years to be fiercely loyal and always there in good times and in bad for his friends and family. Johnnie loved to share his good fortune to children and those less fortunate. He was known to everyone as “Cowboy Johnnie” for his boots and jeans. His favorite poem was Footprints in the Sand which now he gets to do every day with Jesus! Johnnie’s presence is missed dearly by all who knew him.